I don't eat a lot of hummus. But one day last month I got a hankering for it. I hate that it comes in plastic containers at the store, so I decided to make my own. It's very simple and easy and probably only takes about 30 minutes. It's a great beginner zero waste project! Open, drain and rinse chickpeas. Add peeled garlic clove, lemon juice, and blend until garlic is chopped. Add chickpeas, and tahini and blend until smooth. Add water or lemon juice to thin mixture if needed. Add salt and pepper to taste. Eat with crackers, bread, pita, etc...! I like mine with bread or pita and lots of veggies including red onions, tomatoes, radishes, lettuce, and or sprouts and extra good salt. -Keep the chickpea juice to use in other recipes. -Add more garlic if desired. I love more, but my husband does not. -You can make this recipe with a food processor, or by hand mashing. I just happen to have a blender. What makes this recipe near to zero waste? 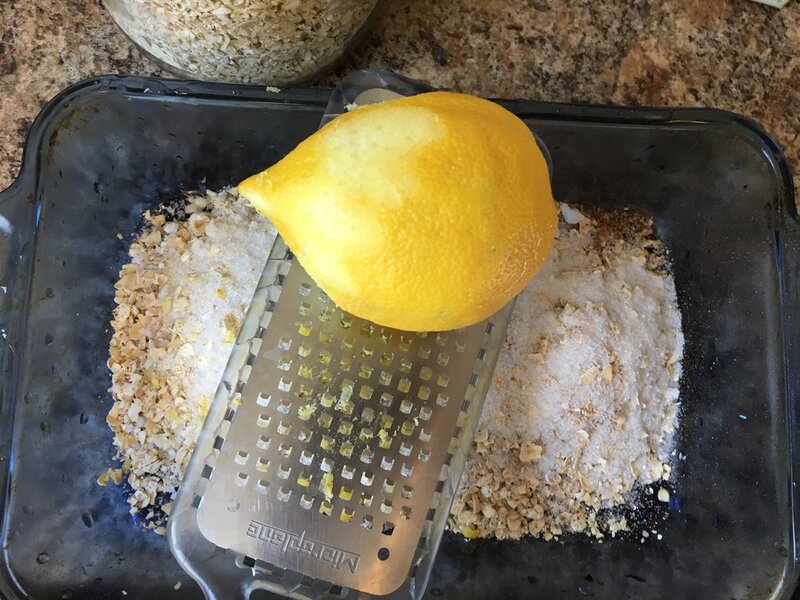 I use the lemon peels for cleaning solution and compost any other food waste. I recycle the chickpea can. The tahini came in a metal can with a plastic lid and it's contents will last a long time. When it's done, I plan on reusing the container for other food storage. To make it even more zero waste: Next time I buy tahini I'll get it in a glass jar, or make it myself. I could get the chickpeas in bulk to skip the can. What are your favorite low or zero waste snack recipes?